Get your mummy on and prepare to walk like an Egyptian as you visit the long-lost age of pharaohs and pyramids. Dig into a treasure-trove of facts, photos and fun which makes this faraway world as vivid as the reality of today. Decipher hieroglyphics, take a boat trip down the Nile, and see how mummies were made. Enter the eerie depths of a pyramid, witness the splendour of the pharaohs, and meet mysterious gods with animals’ heads. 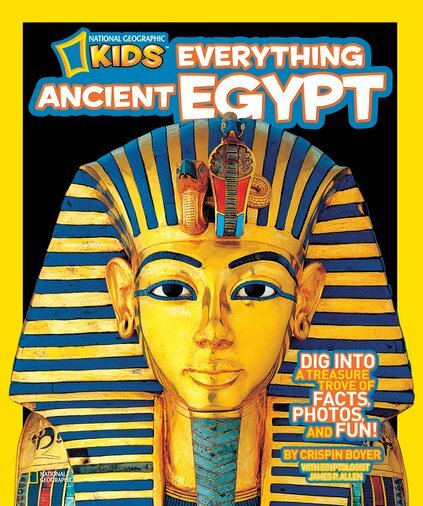 Become an expert on everything Ancient Egyptian! 1100L Lexiles are the global standard in reading assessment. They are unique as they are able to measure a child and a book on the same scale – ensuring the right book gets to the right child at the right time.